If you are considering getting dental implants and wondering what the difference is between traditional dental implants and mini dental implants, we encourage you to call (201) 244-7658 to schedule an appointment with our 07631 dental office. Our goal is to provide you with a replacement tooth that is long-lasting, durable, and looks natural. Since every patient is unique, the only way to determine which type of implant is right for you is to conduct a physical examination and to take x-rays. Once we do, we can discuss whether a traditional implant or mini dental implants would be the best way to replace your teeth. The Team at DeSalvo Dental will then answer any questions that you may have, prior to scheduling an appointment for the procedure. At DeSalvo Dental, we will ensure that you remain comfortable throughout the examination and procedure and that you are pleased with the results. A traditional dental implant generally has a diameter of 3 to 6mm. A mini dental implant is typically half of the size of a traditional one. There are several reasons why a mini dental implant may be chosen over a traditional size. First, people that do not have enough bone density to support a full size implant may be able to receive a mini dental implant due to the decreased size. This creates more opportunities regarding tooth replacement options for adults suffering from tooth loss along with our elderly patients that tend to suffer from resorption on a more regular basis. That is good news and if you have been told that you cannot get implants due to a lack of bone density, call 201-244-7658 for a second opinion. The one downfall of using a smaller implant is that the implant itself may not be as strong or as durable, simply because it receives less support from the jawbone than a traditional implant would. In our Englewood, NJ dental office, we know that mini dental implants are still incredibly secure but if you are looking for the most durable, most secure tooth replacement, a traditional dental implant is still your best option. Check out what others are saying about our implant support services on Yelp: The Difference Between Dental Implants and Mini Dental Implants Englewood. At DeSalvo Dental, we place dental implants that are made of titanium. In our Englewood, NJ dental office, we understand how unique and valuable titanium is since it is the only metal that can be integrated into the body. As a result, the body will think that your new root (the titanium rod) is natural matter and will provide the same level of stability to it that the jawbone would to a natural tooth. At the same time, the implant will provide stimulation to the jawbone for a symbiotic relationship. 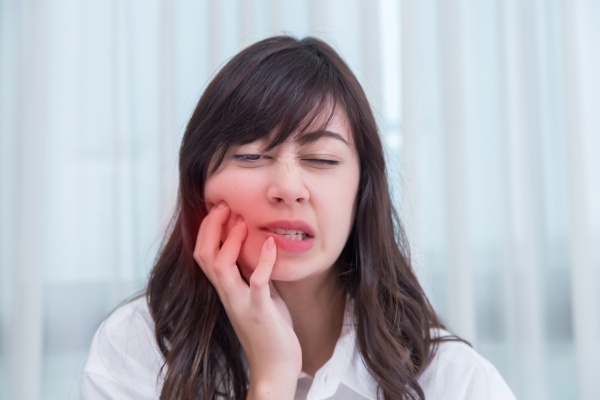 At DeSalvo Dental, The Team at DeSalvo Dental will be happy to answer any questions that you have regarding the procedure and the two options available. Here are some of the frequently asked questions that we, here in our Englewood, NJ dental office, get asked. Traditional dental implants placed in our 07631 dental office can last for a lifetime. Traditional dental implants are made of titanium, a material that will fuse with the jawbone to provide stability and security for the replacement tooth. With regular brushing, flossing, and bi-annual teeth cleanings, you can keep your natural teeth and your implants in excellent condition. At DeSalvo Dental, we have also seen mini dental implants that have a long lifespan but since they have not been available as long, additional research will be necessary to determine exactly how long they will last. In the meantime, we are confident that you will like the appearance of your new replacement tooth. To learn more, visit our New Jersey dental office. Both can be used to replace missing teeth or to serve as anchors for a different prosthetic like dentures. They are natural looking and durable. To learn more, visit our Englewood, NJ dental office. 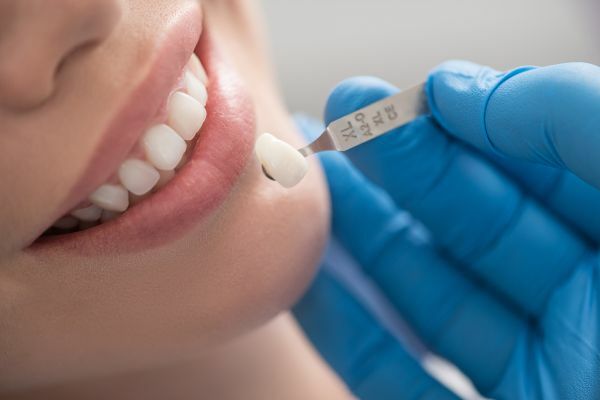 At DeSalvo Dental, we tend to recommend mini dental implants when the process of resorption has taken place and the jawbone is not dense enough to support the implant. We also recommend mini dental implants for a temporary or faster solution since the process can be completed more quickly. Not at all. Once your new tooth (crown) is attached, a mini dental implant and traditional dental implant will look exactly the same. The differences between the two are in the size of the metal post that is implanted under the surface of the gums. The crown itself will be made using an impression of your mouth and measurements that were taken of your teeth in our 07631 dental office. That way, your new tooth will look completely natural and blend in with the surrounding teeth, regardless of the size of implant that you received. If you are interested in learning more, we encourage you to call our Englewood, NJ dental office at 201-244-7658. At DeSalvo Dental, The Team at DeSalvo Dental can also provide you with specific information that is related to your situation.